March 9th - New Orleans LA, at One-Eyed Jacks, with Preservation Hall Jazz Band! This is going to be a very special show featuring guest musicians and a few songs we haven’t played in quite a while. Tickets available here. March 30th - Joshua Tree CA, at Desert Stars Festival. We’ll be headlining this festival on Saturday night in the desert. Tickets available here. March 31st - Phoenix AZ, at The Musical Instrument Museum, tickets go on sale February 28th here. April 2nd - Tucson AZ, at 191 Toole, tickets on sale here. May 2018: I was in the studio for a few days recently, recording some new songs with The CFR (myself on vocals and guitar, Dave Voigt on bass, and Christy Davis on drums), and also a few new songs with my friends Rainy Orteca and Kevin March. The basic tracks were recorded at Ray Ketchem's Magic Door studio in Montclair, New Jersey. I'm hoping to have some of the CFR songs mixed soon, as well as some of the tracks for my solo record. Also, this summer I am headed to New Zealand for 4 weeks to appear again in the web series "High Road", written and directed by Luna's original bass player Justin Harwood. I will be reprising my role of Topher Wagner, and Justin tells me I have quite a big part in these upcoming episodes..! I'm really looking forward to it. April 2016: Okay, Luna has some new dates for 2016: Dallas, Austin and Houston in early May, three shows in the northeast in late May, including one in NYC at the Bell House (sold out), and some shows in the UK in October. You can see the confirmed dates so far this year at lunamusic.com. November 2015: I've been very busy the last few months. 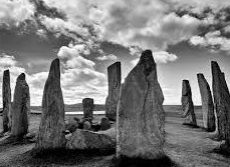 Luna has performed many times in locations far and wide including Spain, Portugal, the UK, Australia, New Zealand and most recently the U.S. and Canada. We have three shows next week in the Northwest: Vancouver Nov. 4th, Seattle Nov. 5th, and Portland Nov. 6th. And there will be a few more shows to come after that as well. 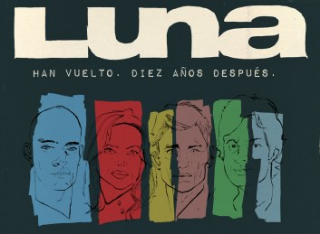 April 2015: Luna will be doing a show at The Echo in Los Angeles on Monday, April 13th. This is a "warm-up" show for our tour of Spain, which starts on April the 17th and goes until May 3rd. All current confirmed tour dates are listed on the new Luna site here. The L.A. Echo show is sold out, but there will be more shows announced for U.S. cities in the coming months. It's been 10 years since Luna last performed. Dean and Britta and I have performed Luna songs onstage on a few occasions over the years, and Lee has played with Dean and Britta in L.A., but the four of us have not performed onstage together since February 28th, 2005! We are really looking forward to playing in L.A. and Spain. High Road Seasons 1, 2 and 3 are now online and available to view in their entirety. High Road is a New Zealand web series starring Mark Mitchinson, and directed by Justin Harwood, formerly of Luna. I play a somewhat ridiculous recurring character named Topher Wagner in Season 2. There are some very good actors in this series (Emma Thompson is in Season 3, episode 1! ), and also a lot of great soundtrack music including music by some great New Zealand bands. I recently appeared in a short film entitled Loretta, which is now an official selection of this year's Williamsburg International Film Festival in Brooklyn. It has been chosen to be part of the festival's opening night lineup, screening this Thursday, September 18th at the Williamsburg Cinemas. The film stars Jeri Silverman, myself, and Dan Courtenay (owner of one my favorite guitar stores in NYC, Chelsea Guitars), and tells the story of a young singer-songwriter who discovers her guitar has been stolen, and embarks on a quest to recover her most prized possession. In July I flew to New Zealand to play a role in the web series "High Road". The series is written and directed by Justin Harwood, Luna's original bass player (and also a cowriter of some our best-loved songs). The first season premiered in 2013. The plot and budget for the show have expanded greatly for the new season. I portray a Christian Rock Radio DJ in the series, which stars Mark Mitchinson and several other well known New Zealand film and television actors. Eight new episodes will be released in mid-November. The new album by Gramercy Arms, "The Seasons of Love", was just released in the UK on Reveal Records. 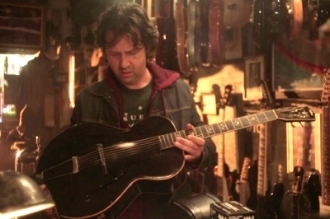 I play a lot of the lead and rhythm guitar on the album, which features songs written by Dave Derby (Dambuilders, Lloyd Cole and the Negatives) and an impressive list of musical contributors including Lloyd Cole, Joan Wasser (Joan as Policewoman) Kevin March (Guided by Voices), Kay Hanley (Letters to Cleo) and many others. It was given a "5 out of 5" and "Album of the Week" by The Express. Not Yet Begun To Fight, the documentary for which I co-composed and produced the music, has been nominated for 3 northwest Emmy awards! This is a very moving film that has been widely acclaimed in reviews, including by The Chicago Sun-Times, rogerebert.com, The Village Voice, The Hollywood Reporter, and Indiewire. 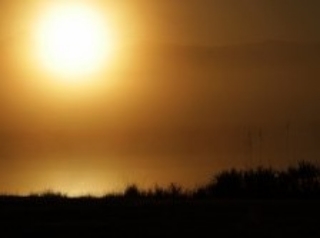 "..a lyrical meditation on nature and war reminiscent of The Thin RedLine and Beau Travail." -Martin Tsai, L.A. Times. I'm stunned and saddened by the news that Lou Reed has passed away. The words and music of Lou Reed have been a huge influence on me since I was a teenager. And he was also incredibly gracious and helpful to Luna over the years. In 1993 we received a call from his management telling us that Lou wanted Luna to be the opening act for The Velvet Underground's historic reunion tour of Europe. The tour was an amazing experience, and it also led to Sterling Morrison playing guitar on our "Bewitched" album. A few years later Lou again invited Luna to open for him, this time for a U.S. tour. Sometimes on that tour he would surprise the audience by coming onstage unannounced during our opening set to perform the Velvet Underground's "Ride Into the Sun" with us. Those are some of the most memorable moments of my career. A truly great artist, Lou Reed's music inspires me to this day. I've been playing a lot of guitar lately for the upcoming Gramercy Arms record, which features a diverse group of guest artists contributing to Dave Derby's songs, including LLoyd Cole, Matthew Caws, Kay Hanley, Doug Gillard, and Tanya Donnelly. The record was recorded and co-produced by Dave Derby and Ray Ketchem, and is being mixed this month in L.A. by Thom Monahan (Vetiver, Devendra Banhart). Not Yet Begun To Fight will play at the Quad Cinema on West 13th Street in New York City from October 25th through 31st. The score for this moving documentary feature was composed by myself and Matthew Buzzell. An intimate look at the human cost of war, the film follows a retired Marine Colonel who reaches out to five men, a new generation returning from, and ravaged by, combat. You can learn more about the film here. "Winter in the Blood" will have its east coast premier at the Woodstock Film Festival on October 4th, and another screening on October 6th. I performed on, and produced, a Youth and Valor song by Courtney Saunders featured in the film. The movie stars Chaske Spencer, David Morse, and Julia Jones, and has an excellent soundtrack featuring the Heartless Bastards, Cass McCombs, and Robert Plant. I've been working on several new sound effects and design projects for periscopic.com. One upcoming project is a video and interactive piece being done in collaboration with the Economic Policy Institute. It focuses on growing economic inequality, the financial sector, worker's rights, and the need for comprehensive economic reform in the U.S. Another has garnered quite a lot of attention over the last two weeks. It's a striking data visualization of gun violence statistics in the U.S. I recently performed with Chrysta Bell and her band in New York, on February 22nd at Le Poisson Rouge and February 23rd at the Standard Hotel. Chrysta's album "This Train" was produced and co-written by the one and only David Lynch, who has this to say about her: "Chrysta Bell looks like a dream and sings like a dream. And the dream is coming true." Twilight of the Idols have been in the studio recording our debut record. T.O.T.I. consists of myself and Doug Gillard (Guided By Voices, Nada Surf, Cobra Verde) on guitars, Dave Derby (The Dambuilders, LLoyd Cole and the Negatives, Gramercy Arms) on bass, and Kevin March (Guided By Voices, Shudder To Think) on drums. This will be an ambitious instrumental record influenced by mid '70's groups such as Popol Vuh, Cluster and Harmonium. "Not Yet Begun To Fight", for which I co-composed the music, was recently awarded three and a half out of four stars in a February 6th, 2013 Chicago Sun Times review. The documentary film had its New York premiere last October at the Elinor Bunin Munroe Film Center at Lincoln Center, and also won the audience award at the Florida Film Festival last fall. Gotta Groove records has released a vinyl version of Luna's Bewitched. This is the first time Bewitched has been available on vinyl since its original release! 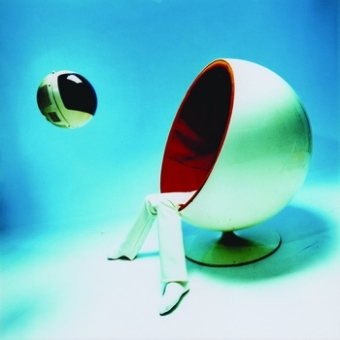 The record features the cover art and photography by Michael Lavine and Laurie Henzel which the band had intended for the release, but which was replaced at the last minute when the original CD version was released. It looks and sounds amazing. I performed quite a few Luna songs with Dean and Britta on Saturday, July 21st, at a special benefit show in Wantagh, Long Island. It was part of the Shine A Light Music Festival, presented by the Tommy Brull Foundation. The War On Drugs, one of my favorite current bands, also played. Luna's last two albums, Romantica and Rendezvous, were recently released on special edition 180-gram vinyl. Unfortunately these limited-edtion versions have already sold out! However, there are also digital downloads, including b-sides and remixes of songs from both these albums available at Luna's bandcamp site, as well as on iTunes. Yes, indeed, I confirm that I appeared in a Budweiser commercial that aired earlier this year during football and basketball games on network and cable channels. The spot, called "Upside", depicts a bar scene wherein one grumpy guy (me) complains about various subjects while the other patrons contradict my grumblings by pointing out positive things, eventually causing me to admit that I at least feel pretty positive about "my cute neighbor Sarah". The ad was directed by Randy Krallman, and produced by Smuggler and the Anomaly Agency. 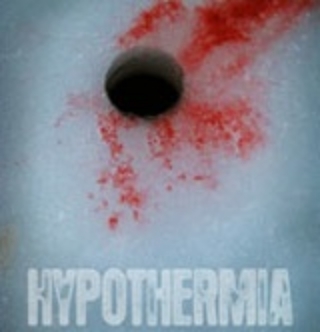 I've completed writing and recording the score for the feature-length horror film Hypothermia, written and directed by James Felix McKenney, and produced by Glass Eye Pix. The film is set on a frozen lake in Maine where two groups of ice fishers are terrorized by an aquatic monster. The film stars Michael Rooker, (from "The Walking Dead" and "Henry: Portrait of a Serial Killer"), Blanche Baker, and Don Wood. A brief trailer for the film screened at the Cannes Film Festival last year. Quadrangle, directed by Amy Grappell, premiered on HBO on February the 16th, 2011. I produced, arranged, and played on the song "Sad Little Happiness", by Youth and Valor, which appears in the film. It's an unconventional documentary about two "conventional" couples who swapped partners and lived in a group marriage in the 1970s. Quadrangle won several festival awards in 2010, including Best Documentary Short at the SXSW Film Festival. "Substantial, serious, compelling, deeply moving and formally beautiful. An outstanding piece of portraiture" - Hamza Walker, Renaissance Society Chicago. 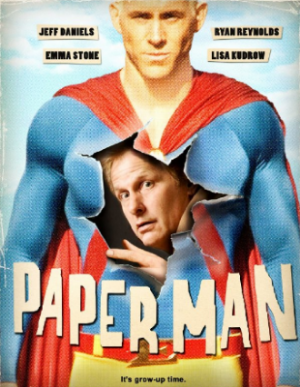 My song "Broken Chair" appears in the feature film Paper Man, starring Jeff Daniels, Ryan Reynolds, and Emma Stone. The film played in theaters in the U.S. last summer and is now available on DVD. It's a coming-of-middle-age comedy that chronicles the unlikely friendship between failed author Richard Dunne and a Long Island teen who teaches him a thing or two about growing up, all under the disapproving eye of his long-suffering wife and his imaginary Superhero friend.